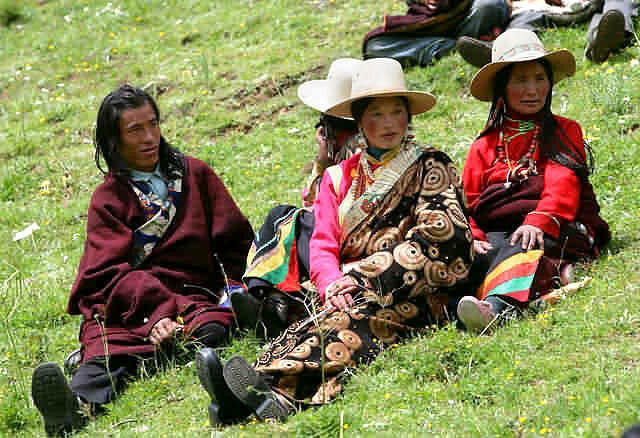 The daily lives of Tibetans are quite diverse. 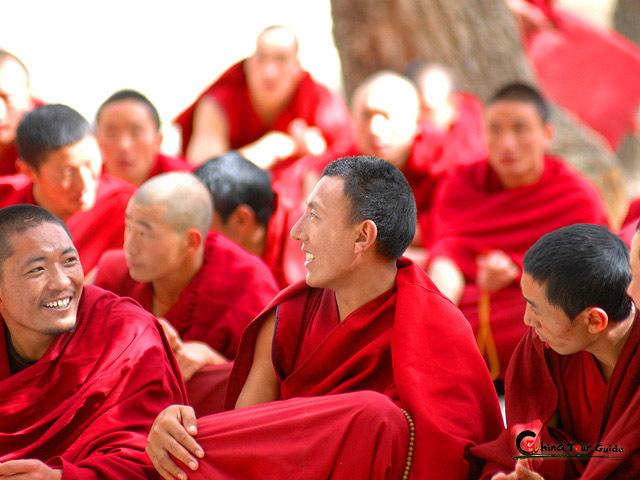 There are several hundred cultural centers and clubs, offering entertainment and sports facilities to ordinary Tibetans as well as holy monks. A wide range of food, drinks, and other kinds of activities are popular in most cities and towns. 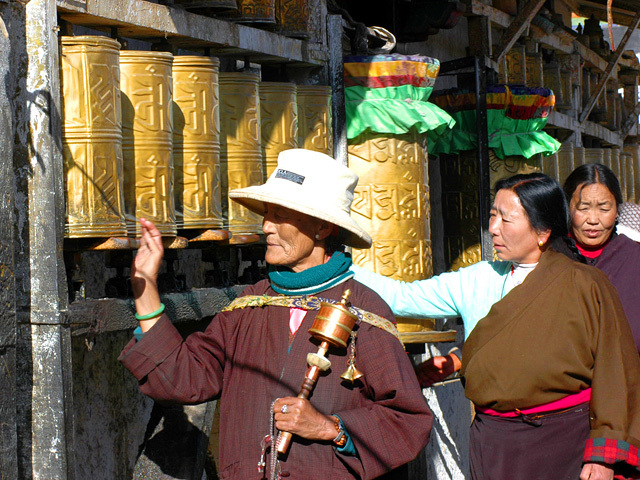 Various Tibetan festivals can be the highlight of a visit to the area. 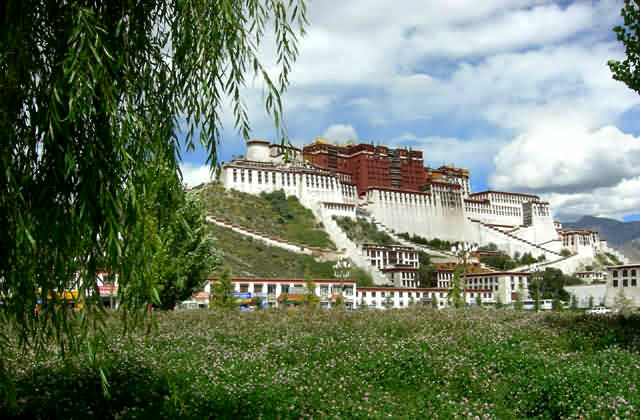 If possible, try to time your visit to Lhasa with one of the city's main festivals. Pilgrims often flock to Lhasa at these times and the city takes on a colorful party atmosphere. The following Tibetan festivals are calculated according to the lunar calendar. Check for the precise dates before you go. It is the most important and sacred religious festival in Tibetan Buddhism. The 15th day is the most holy one. On this day, all Buddhist temples nationwide host ceremonies to celebrate the birth, enlightenment and parinirvana (death) of Shakyamuni Buddha. During the festival, all Buddhists, lay or ordained, observe it with the practice of accumulation and purification. Practitioners circumambulate monasteries and stupas, make prostrations and pilgimages, take precepts, recite mantras, offer mandalas, offer donations to monasteries/monks or beggars, save animals’ lives, and any other spiritually positive deeds to accumulate merit. All the merits of virtuous actions done on this day are considered to be multiplied one hundred million times. . In Tibetan language, Sho Dun means the banquet of yogurt. It is the most solemn festival in Tibet, when thousands of Buddhists from all over the world flood into Lhasa to sincerely pilgrimage to the supreme Buddha. They climb upon the mountain for practice, and after that, they eat yogurt, dance and sing on the way home. The solemn sunning Buddha ceremony, bustling Tibetan opera, exciting yak racing, song and dance performances are the main activities at this moment, together with a wide range of other colorful traditional customs of popular appeal. The beautiful grounds of the Norbulingka are filled with partying groups shielded from the wind by gaily coloured hanging walls of rugs and printed canvas. There is much feasting and visiting between family groups and bonfires are common at night. This is the greatest festival in Tibet, whose importance equals that of Lunar New Year among the Han people. 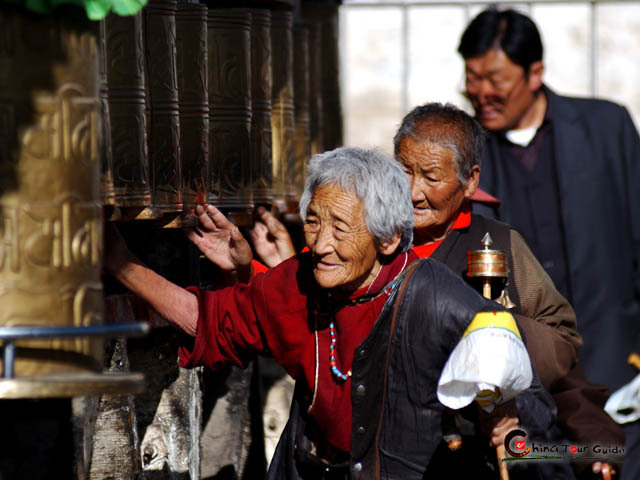 Tibetan people begin preparing for this festival upon entering the 12th Tibetan month, with sacrifices being presented on the altar of their deities and special foods delicately made to welcome the coming year. The festival starts from the first to the third day of the first Tibetan month. New Year's Eve is also the time of the highly important Ghost Exorcising Festival. On this special day, monasteries hold deeply meaningful sorcerer's dances. Tibetans tidy their houses and decorate them beautifully, with the belief that the cleaning will drive away evil spirits and bad luck. 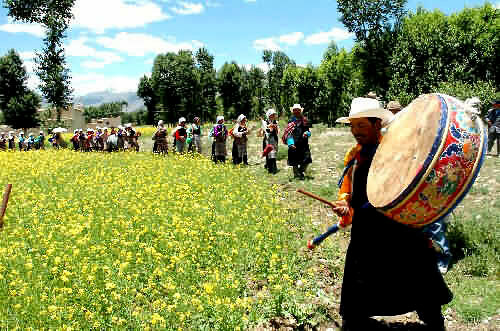 It is an important religious festival in Tibet, established in 1409 by Tsong Khapa, the founder of the Geluk tradition. During the festival, thousands of monks, mainly from Drepung, Sera and Ganden monasteries, gather for chanting prayers and performing religious rituals at Jokhang Temple. Examinations for the highest 'Lharampa Geshe' degree (a degree in Buddhist philosophy in the Geluk tradition) are held at the moment. What’s more, monks will perform traditional Tibetan Buddhist dances (cham) and make huge ritual offering cakes adorned with very elaborate butter sculptures. 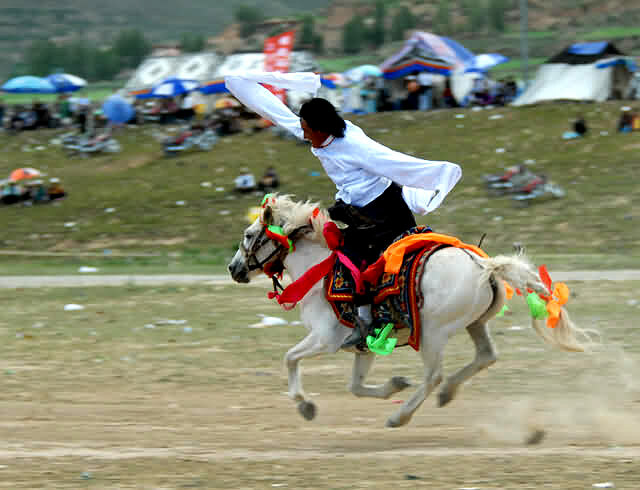 Horse racing and archery are extremely popular in Tibet. Gyantse city enjoys the prestige of being the initial host of competition in these events starting the festival in 1408. Contests in early times included horse races, archery, and shooting on galloping horseback followed by a few days of entertainment and picnicking. Ball games, track and field events, folk songs, dances and barter trade are more recent additions to the festival. In this day, 25 precious articles belonging to Ganden Monastery, which are normally locked in their treasure house, are displayed in the main shrine hall. A grand offering ceremony accompanies the display. These articles consist of the images of the sixteen arhats, akshobhya, the secret assembly, the four great kings, the upasaka and hashang image. The Bathing Festival lasts for one week in the early part of the 7th lunar month, when Venus appears in the sky. It is believed that during its appearance, the water in the river becomes purest and can cure diseases. 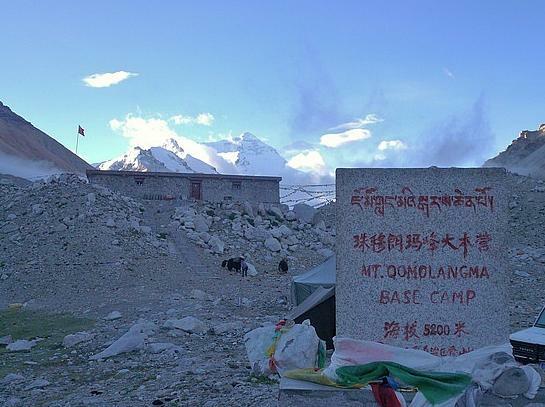 Tibetans bring food, set up tents along rivers and bathe themselves under the star light. The holy bath is believed to wash away potential diseases and ward off misfortune. It is a festival mainly celebrated in rural areas to pray for a good harvest. On this day, farmers put on their best clothes, carry harvest pagodas made from the ears of highland barley and wheat and circle around their fields beating drums, chanting holy songs, and dancing. Then they will gather to drink Chang and yak butter tea. 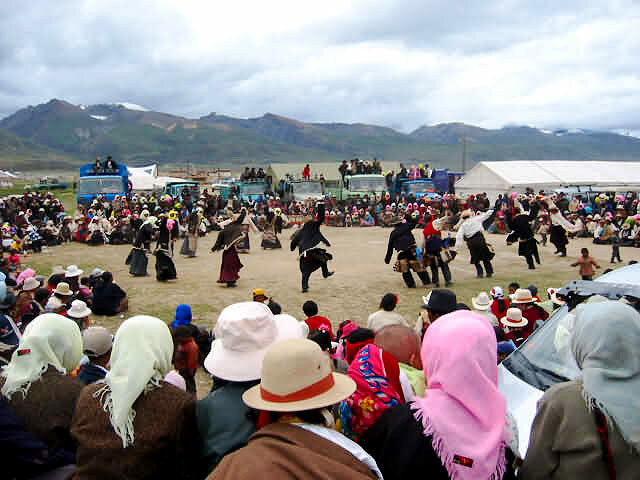 In some areas, there are other activities as well, such as horse races, archery competitions and performances of Tibetan Opera. After the Harvest Festival, farmers will be busy harvesting their crops so it represents one last chance to relax and have fun before the difficult months ahead.